College football • Doman may return to old quarterback coach position. Brandon Doman (Photo by Kaitlyn Pieper/BYU) Robert Anae, offensive coordinator BYU Football. 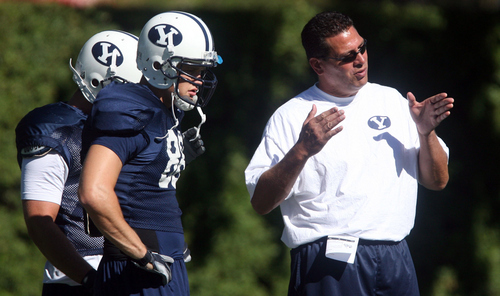 Courtesy Image Tribune file photo Robert Anae, seen at a team practice in 2006, is returning to the BYU football coaching staff as the offensive coordinator. Provo • Those dramatic changes to BYU&apos;s offensive coaching staff hinted at by athletic director Tom Holmoe in October began to unfold on Friday with the stunning revelation that former offensive coordinator Robert Anae is returning to BYU in the same position he left two years ago. In a news release Friday evening, BYU confirmed head coach Bronco Mendenhall brought back Anae to replace Brandon Doman as the offensive coordinator after Doman&apos;s two-year tenure as both the OC and quarterbacks coach failed to produce the results that Mendenhall and Holmoe expected. Anae and Mendenhall have asked Doman, a former BYU quarterback, to remain on the staff as the quarterbacks coach, but Doman is said to be "mulling over" the offer. The Salt Lake Tribune obtained an email Mendenhall sent to players on Friday shortly before the announcement was posted on the school&apos;s website. Mendenhall said he released Doman from his responsibilities as offensive coordinator "after much consideration" and was "appreciative of his hard work, loyalty and enthusiasm" for BYU. "It was clear, however, that a change in leadership was needed for us to truly achieve what we are capable of as a team," Mendenhall wrote. Anae was in Provo on Friday, interviewing with school and authorities from The Church of Jesus Christ of Latter-day Saints, which owns and operates BYU. Anae was BYU&apos;s offensive coordinator from 2005 to 2010, brought in by Holmoe when Mendenhall was promoted from defensive coordinator to coach to replace Gary Crowton. Anae left after the Cougars&apos; 52-24 win over UTEP in the 2010 New Mexico Bowl to become the offensive line coach and running game coordinator at Arizona, a position he has held the past two seasons. The Wildcats ranked No. 7 in the country in total offense in 2012. Anae was believed to have been forced out at the time because Mendenhall had asked all five of his offensive coaches to resign and then re-apply for their positions, or other positions, on the staff after the 2010 season. With freshman quarterback Jake Heaps getting most of the starts, the Cougars went 7-6 in 2010, but lost 17-16 to rival Utah when Anae&apos;s offense turned conservative in the final minutes and settled for a field goal attempt, which was blocked. Sources said Friday that Anae left on his own volition because he wanted a change and had grown weary of dealing with other coaches on the staff, most notably longtime BYU assistant Lance Reynolds. Reynolds, a 31-year coaching veteran who oversaw the tight ends the past two seasons, resigned after the Cougars&apos; 23-6 win over San Diego State in last month&apos;s Poinsettia Bowl but never said the word "retire" and left open the possibility of returning to coaching. 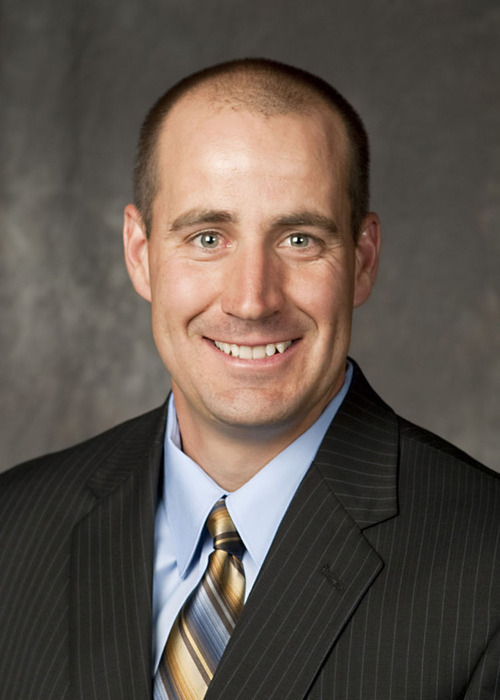 Sources said Reynolds has since been contacted about openings at other schools, including Hawaii, Utah and Utah State. He declined comment when reached Friday morning. Anae will get his mulligan at BYU with the understanding that he will have a bigger role in deciding which offensive staff members are retained or released. A source said he wants to bring in former Cougar Mark Atuaia as a running backs coach, a move that obviously would affect the status of current running backs coach and recruiting coordinator Joe DuPaix. 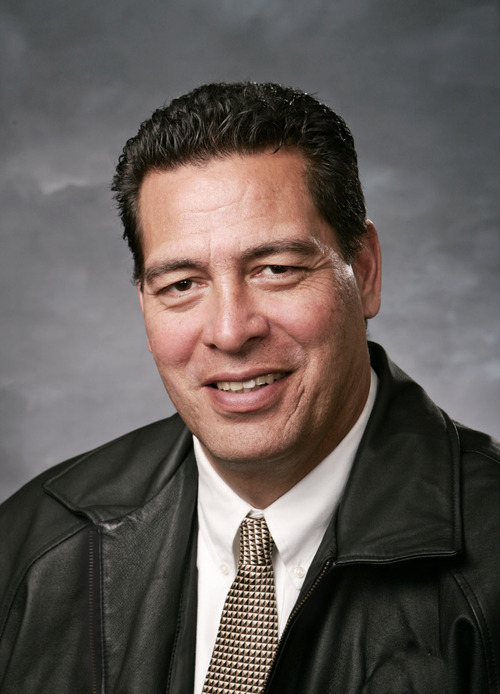 Atuaia was an assistant to the dean of student life at BYU before joining the athletic department last June as an assistant to athletic director for student services and is a popular figure among many student-athletes, especially Pacific Islanders, at the school. Another offensive coach, receivers coach Ben Cahoon, was hired after the 2010 season to replace Patrick Higgins, who left for Purdue. Mendenhall likely will urge Anae to keep Cahoon and DuPaix on the staff, having hired both men during the offensive shakeup in late 2010, early 2011. The Cougars had some of their greatest offensive success of the past decade under Anae, ranking in the top 20 in passing offense every season from 2005 to 2009 with either John Beck or Max Hall at quarterback. They were 44th in 2010, Anae&apos;s last season, as BYU started the season splitting time between Heaps and Riley Nelson before Nelson suffered a season-ending shoulder injury against Florida State. Under Doman, the Cougars were 47th in passing offense in 2011 and are currently 51st this season. Under Anae, the Cougars were consistently among the best offenses in the country on third down, including No. 1 in 2009. They were 28th in the country this year, converting on 45.7 percent of their third-down opportunities with Doman calling the plays.